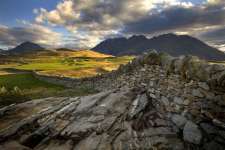 An undeniably spectacular experience, Jack’s Point is a rather polarizing layout perched deliciously above Queenstown’s crystal clear Lake Wakatipu. 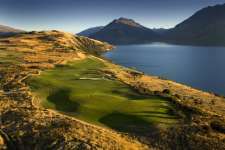 Designed by New Zealand property developer John Darby, the course takes its name from a local character known as Maori Jack, who was not only the first to find gold in the area during the 1860s but also saved two friends from drowning on the lake near where the golf course is located. Less than half an hour from the heart of Queenstown, the entire Jack’s Point development encompasses an area of around 3,000 acres and boasts glorious views of both the lake and the surrounding Remarkables Mountain Range. The site was once a high country farming station, and golf was central to Darby’s plan of converting it into an upmarket residential estate. While much of the land is gently rolling and has a pleasant prairie feel to it, other sections crash and fall violently down the bluffs toward the lake. The polarizing aspect of the layout is the routing, and Darby’s use of these disparate landforms. Where others might have settled for shorter walks, smaller climbs and longer views of the lake, Darby instead decided to attack the hills and get his holes as quickly and as close to the edge as he possibly could. The result is an at times awkward mix of quite spectacular golf with some difficult uphill and downhill slogs. Rather than ease the golfer into his or her round, Jack’s Point starts with a well-bunkered par four that runs adjacent to the main ridge, before turning and heading straight up and over the ridge toward the lake. The stretch from the 2nd to the 5th is not poor by any means, but the holes do play steeply uphill and require strong shots over deep bunkers cut into the front of the greens. It’s a theme repeated elsewhere. Those trying to walk the course, therefore, may struggle to appreciate the wonderful view from the 6th tee as a result of the climb. They may also feel less enamoured with the subsequent fall, rise and fall nature of the next dozen or so holes than those playing in carts. Whatever your take on the routing here, the holes are compelling and few visitors are likely to complain about a design that focuses so squarely on the dramatic. The 6th, 7th, 8th and 11th holes are all exhilarating to play. The long, bunkerless par three 13th across a preserved wetland area is another memorable hole as is the meadow-style two-shot 15th, played diagonally across an old-school stone wall. 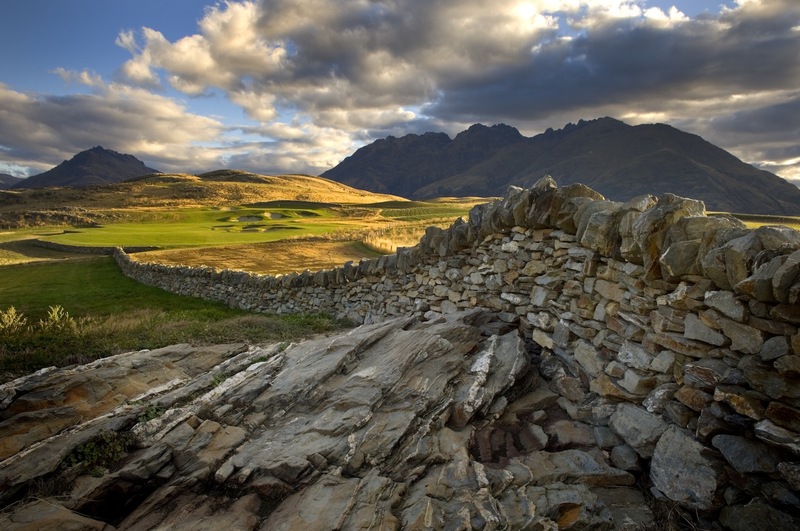 Queenstown is a delightful place to visit, and a superb summer golf destination. Given the scenery, the solitude and the fact that the fine fescue fairways and browntop bentgrass greens are generally presented in excellent condition, it isn’t hard to see why Jack’s Point is such a popular course. We suspect that it would rate very highly in a people’s choice type award for golf in New Zealand.